In early February, I took a flight from Danang to Hong Kong on Cathay Dragon. This flight was the first leg of the mistake fare that I managed to book from Vietnam to the US. The flight was an evening flight, and I boarded around 7 30 PM. As this was a short flight slightly under 2 hours, the plane used was a short-haul Airbus A321. In this plane, there were 24 business class seats, arranged in a 2-2 setting for 6 rows. In economy class, there are 148 seats in a 3-3 setting. The business class seat was fairly standard for short haul. They are the wide 21-inch recliner seats, with a 42-inch pitch. I was seated in 12C, which was the left aisle seat in the third row. 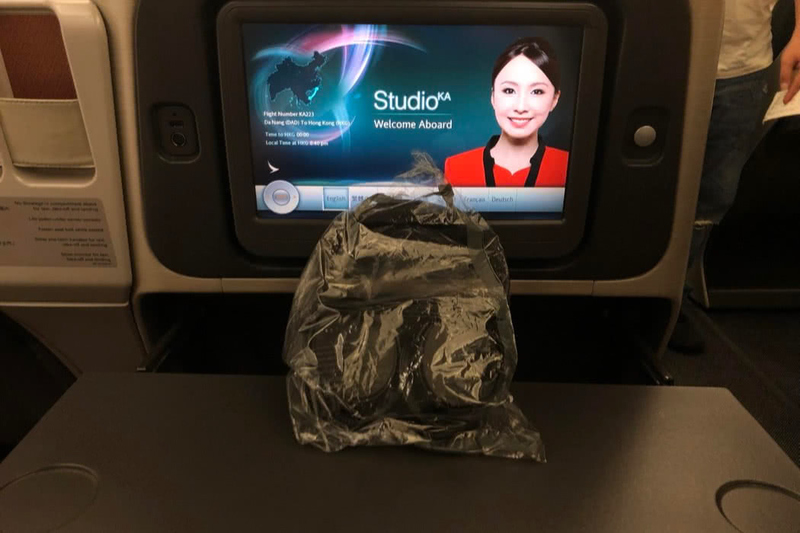 On my seat was a set of noise cancelling headphone and a blanket, all wrapped up in plastic. After putting my luggage in my overhead bin, I sat down as the plane began boarding. In front of me was a small 10-inch monitor with Cathay’s superb Studio KA entertainment system. A pull out tray is under the monitor, while a small pocket to store phones is on the left side. After settling in my seat, the air stewardesses served us a welcome drink, the dining menu and a hot towel. I took a glass of Piper-Heidsieck champagne and unwrapped the headphones. As this was a short flight, I opted to watch a movie which will fill up the whole time slot for the flight. We took off shortly after 8 PM, and soon reached a cruising altitude. The meal service then began. 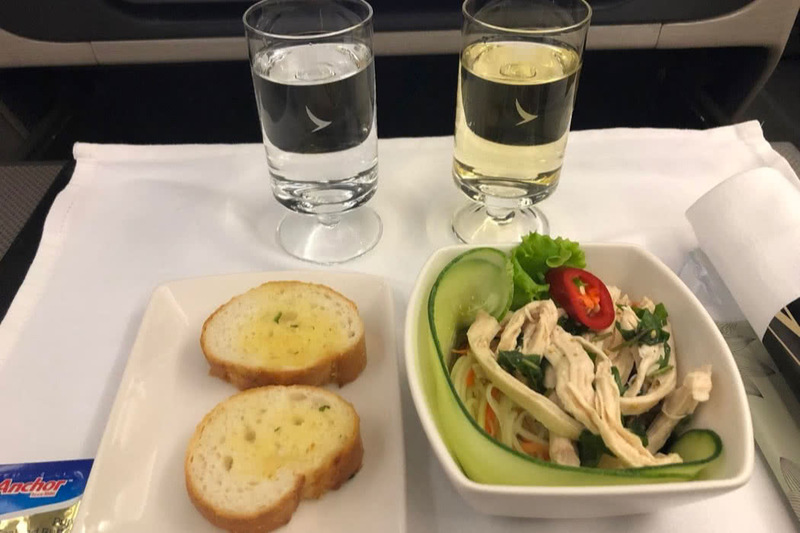 The air stewardesses set up our tables with a white cloth and began by passing out the appetisers – a Vietnamese shredded chicken with papaya salad. They also walked around with a bread basket for us to pick the bread that we wanted. I took 2 pieces of garlic bread, as well as a glass of water and a refill of the champagne. Soon, another stewardess walked down the with a cart with a few different main course selections. 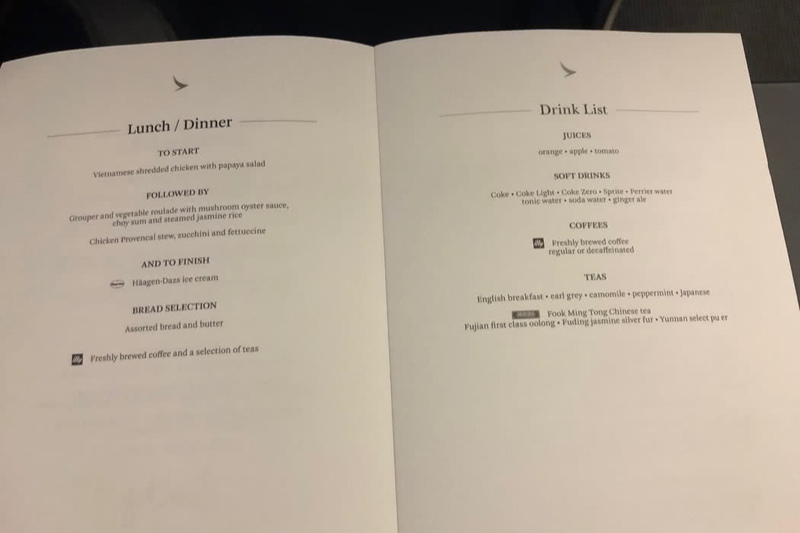 For this short haul flight, there were only 2 options – a Chinese style fish with rice, and a Chicken stew with fettuccine. I opted for the chicken dish, which was decent. 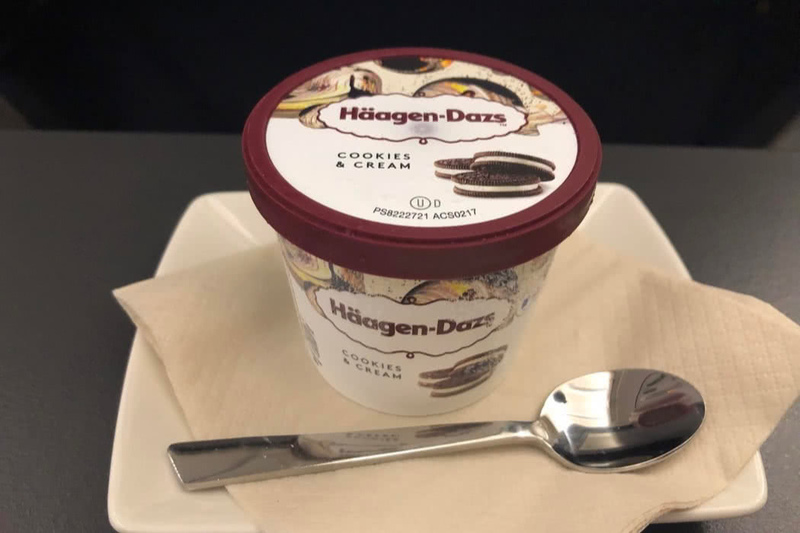 After the meal, the stewardesses cleaned up our tables and offered us Haagen Dazs ice cream and hot beverage options. I opted for the Cookies and Cream flavour. No coffee or tea that late in the day for me! Later, the cabin lights were dimmed as we continued on. We landed in Hong Kong shortly under 2 hours. 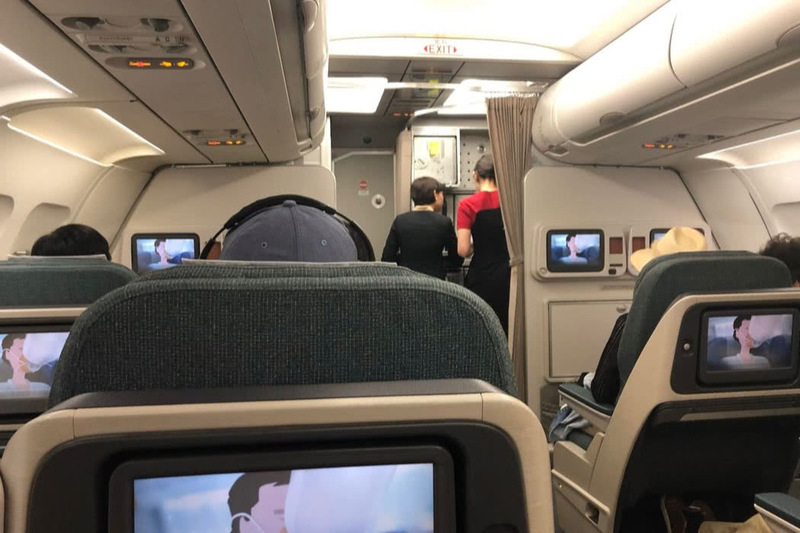 Overall, the flight was solid and classically Cathay. 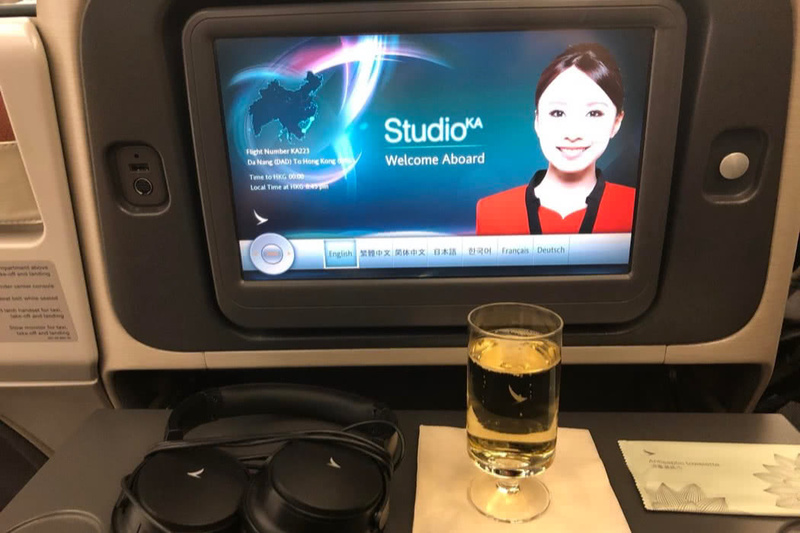 Cathay Dragon offers three classes of travel; First Class where you can enjoy a spacious cabin, a flat-bed seat, enhanced entertainment, and their Asian hospitality. Cathay Dragon Business Class offers a comfortable personal space where you can work or relax. Cathay Dragon Economy Class offers convenient space, personal entertainment system, and attentive service. Starting with one aircraft, Cathay Dragon has developed to become an award-winning Hong Kong-based carrier owning more than forty aircraft, and with a network covering the most popular travel destinations as well as business ports in Asia Pacific region. Cathay Dragon is well-recognised by its passengers of its extensive network in China. 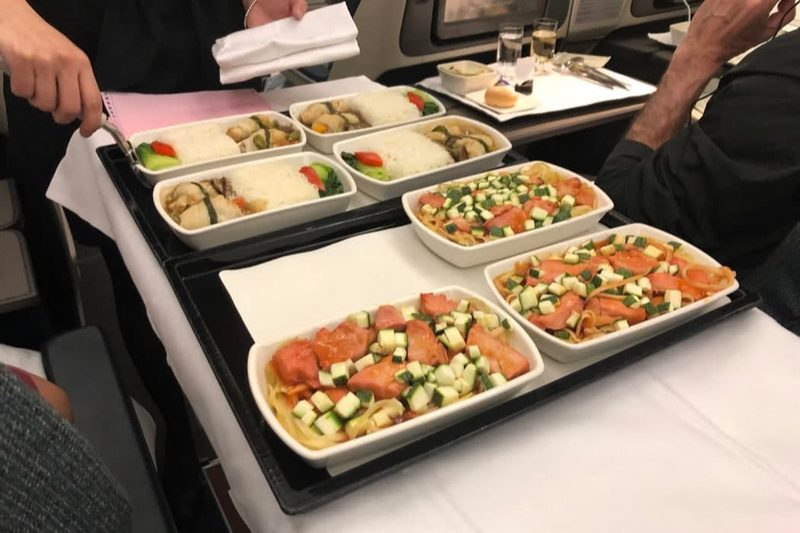 Given the flourishing economy in Mainland cities and aviation hub synergy of Hong Kong, Cathay Dragon plays an increasingly important role in connecting passengers around the globe and the Mainland China. Cathay Dragon is also the first local airline making an investment in local pilot training. In late 1980s, the first generation pilot students joined the pilot training scheme and became the first batch locally born Chinese pilots. To date, over 150 cadets have successfully completed the scheme. Cathay Dragon is a member of Cathay Pacific Group is an affiliate member of oneworld® and partner of Asia Miles. Previously, I used my British Airway Avios miles to redeem flights on Cathay Dragon. Cathay Dragon, previously known as Dragon Air, is a subsidiary of Cathay Pacific, and a Oneworld affiliate. Cathay Dragon primarily flies short-haul and regional flights, while Cathay Pacific focuses on the long haul flights. 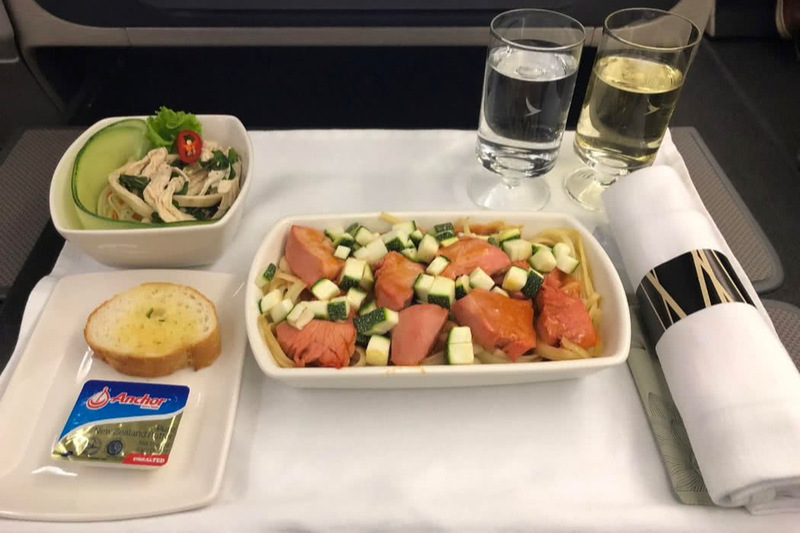 Cathay Dragon, therefore, offers a great way to fly around Asia on Avios. 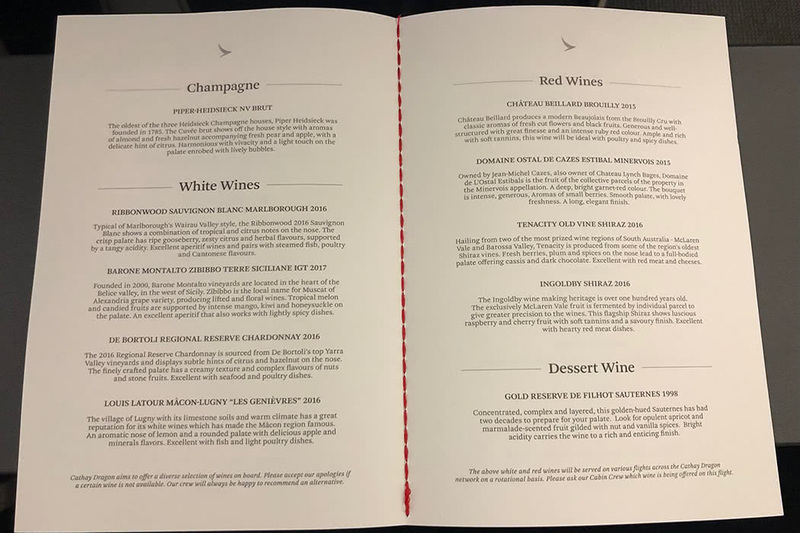 If you want to fly on Avios miles for free like I do, I have outlined the three best British Airways Avios air mile credit cards with a referral bonus to get you onto that plane in style as quickly as possible. Wherever you fly to, if you want to book a hotel, use our luxury travel concierge. We offer free upgrades, free breakfasts, free hotel credit and VIP gifts at major luxury hotel brands like Four Seasons, Belmond, Ritz Carlton, InterContinental and more.